Bikram yoga - the original hot yoga - a 90-minute series of 26 postures with 2 breathing exercises practiced in a heated room. The series is suitable for people of all levels of fitness, is perfect for beginners and is highly effective for overall health, reducing stress and improving better mind-body connection. 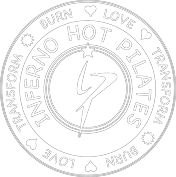 Inferno Hot Pilates™ is a challenging 60-minute full body workout conducted in a room heated to 35 degrees Celsius. Using a combination of Pilates principles and High Intensity Interval Training (HIIT), Hot Pilates strengthens core muscles and burns fat. Come visit our friendly and inviting studio, newly relocated on Regent Street. We are thrilled to be sharing the building with Neko HQ (run by the non-for-profit Maneki Neko Cat Rescue group), we are across the road from the JS Grey Reserve, adjacent to the Audacious Monk Cellars and Ox and Fox fine homewares. 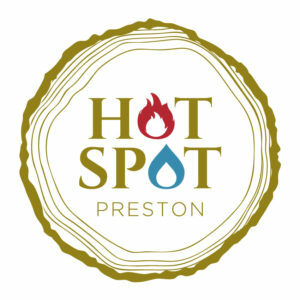 The studio is directly opposite 553 Bus stop and easily accessible via Tram 11 terminating at West Preston Stop 47. We welcome you to our studio!